Does Article Marketing Still Work? Maybe. And it has a dirty little secret. 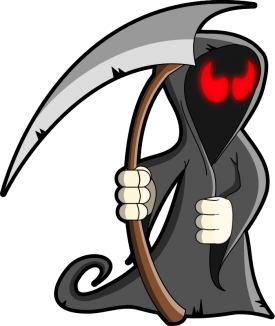 Has the Grim Reaper come for Article Marketing? With the Google Panda release last year, many pundits declared “Article Marketing is Dead” with a vocal (and invested) minority countering that Article Marketing was alive and well; it was just that writers needed to make some adjustments in this post Panda world. So does Article Marketing still work or not? As usual the answer is not black and white. It certainly doesn’t work as well as an SEO tactic as it used to. Panda devalued most if not all article marketing directories, so consequently they don’t rank as well and for fewer keywords. Most SEO firms will tell you that guest posting is the new article marketing and to not bother with article marketing at all. But is Article Marketing completely dead? No, depending on your competition and your keyword it’s still an easy way to get some exact match anchor text links to your site, and for some narrow niches that can be enough. It’s certainly better than buying links. But before you rush out and create a bunch of articles and upload them to every article directory you can find, you might want to read through a case study I recently did exposing article marketing’s dirty little secret. When I was recently studying a client’s backlink profile who had lost traffic due to Google’s Penguin I started noticing what people had done with articles from these directories. So I took it one step further and did a small case study on what happens to the articles once they are published. The idea behind article marketing is that not only do you get a backlink back from the article directories themselves, but if other people like your article, they will publish on their website as well, creating more backlinks to your site. It’s this second part that was the subject of my case study. What I found is that, many times, your article gets published on other website – but often without the bio box that contains the link back to your site. Which is of course why you wrote the article in the first place. Now some caveats. My little case study focused on articles in a certain niche and is probably not big enough to be statistically conclusive. However I did spot check articles in other niches and found similar patterns. I would love it if someone did the same study on another set of articles, controlling for how many article directories were published in, the type of niche …etc. Given three articles, I selected a contiguous phrase from each article consisting of 7 to 15 words. The goal was to have a unique string of content that wasn’t likely to be replicated in content elsewhere. For the longer phrases I included sentence breaks – and for two of the phrases I selected them from paragraphs lower in the article body to avoid looking at excerpts of the article. For each phrase from the article, I put the string in double quotes and Google’d it. I then selected 10 to 13 results each to look, mostly avoiding article directories – assuming that the article had been submitted to these as well (which was not a completely valid assumption as we will see). What happens to articles that are published into the wild? 21 published the article but removed the bio with the backlink. Whether they kept the stripped bio or not, 15 of the 29 above added links to different sites. I even found one case of an article that had an updated bio with a new link that had been published to another article directory! 2 had published the article per the guidelines (keeping the bio and original link), however 1 of those 2 had changed the link to be a nofollow. 4 had scraped part of the article and often added new links to different sites. If you are going to do article marketing, make sure your link is not at the end of a sentence and/or paragraph, put it in the middle of one. The article that had a link at the end (for example “Vist www.foo.com”) lost the link the most. In my spot checks, some niches were better behaved (less occurrences of adding new links), but I always could find blogs that published the article with the bio and link completely removed. My searches on the strings I pulled from the articles always yielded the supplemental results message from Google. So many of the republished articles were considered duplicate content and not part of the primary result set. So you would be counting on Google and Bing to keep the desired articles with the right links out of the supplemental index. And yes there are original articles out there that don’t have a bio or a link! I saw this mostly at ezinearticles.com. So article marketing is not completely dead. In a small uncompetitive niche it can be a backlink that helps. But given the dirty little secret I uncovered and the Google devaluation of these directories; it seems like your efforts could be better spent elsewhere. Update: August 1, 2013: It’s been a year since I wrote this post and I’ve now done a number of Penguin recoveries. Yes, people scrape articles without giving you credit, but worse yet; we now know for sure that Google penalizes article directory backlinks. For a successful recovery from a manual penalty or from one of the Penguin algorithm releases, you need to remove or disavow all links from article directories. In this searchenginewatch article, Eric Enge (towards the end of the post) gives an example of a site that recovered 100% after removing article directory links. Your information about what happens to republished articles is pretty useful. Thanks for that. I wanted to add a little bit to the topic too. Early on in your post you mentioned that article marketing doesn’t work as well as it used to for SEO. It is impossible to conduct a controlled study on that fact because we can’t step back into the past. However, I conducted my own study to see if article marketing still works for SEO and it most certainly does. Just go to Google and search for Does article marketing still work. Maybe you have already seen that study. The idea of getting one article republished at a bunch of other websites isn’t the best idea to begin with. After all, if a site is getting its content from an article directory, then that site isn’t going to be worth a hoot anyway. You can use the article directories one at a time to generate decent quality backlinks to your site though. I know that everyone thinks article directories aren’t good quality links, but they absolutely can be. The way that you make them high quality links is to send at least one link back to each article that is passing some PageRank. If you do that you can get websites to rank high (as my case study proved) using article marketing alone. And, it is something that one person can do all on their own without having any special skills. All you need to do is write enough articles. Thanks Ted for your thoughtful comments. I agree you can make article marketing work, I just think you should have your eyes open so you know what you are getting into. In your experience have you found certain niches that work better with article marketing than others? Article marketing is still effective, if done correctly. You should not submit the same article on several directories, and it can be done easily by rewriting the article to change its language. I am quite new to the whole Internet marketing and SEO thing and I would really love to make marketing online a full-time job. But I am honestly so overwhelmed right now. I have read that article marketing is the best way to market my websites. Well, many SEO professionals think that article marketing has become irrelevant after Panda update, but it is not true. It is still capable of enhancing web visibility, if done in a right way. Many of the article directories took a bit hit with the initial release of Google Panda in the spring of 2011, but that doesn’t mean they completely lost their value, I just wouldn’t make that your sole tactic especially given the abuses I found. Ok, with all the SEO stuff aside, and all of Google’s pandas, hummingbirds, and other zzoo-like creatures out of the way, let’s have a serious look at the real benefits of article marketing and why you should use it in your business. 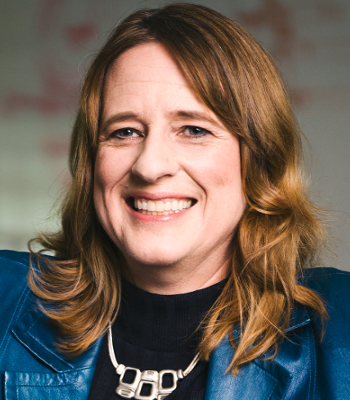 For starters, article marketing isn’t just for SEO. It is also used for creating backlinks, content, and driving traffic to your blog and or other type of site. The fact is, article marketing still works and people still do pick up articles and publish them on their sites. So if your articles get published on the article directories and then picked up by blog owners and other site owners, that is much better than SEO ever thought of being. People pay too much attention to feeding the big G, when they really should be paying attention to giving real human beings real information that they can chew on and use. All of that SEO stuff is just too hard and with Google constantly releasing more and more of their animals, ranking in the search engines becomes more and more difficult. So forget about ranking in the search engines and pay attention to generating raffic from other blogs and other sites and pay close attention to the backlinks that you get as well as the spreadding around o of your content. Just think, the more that your content appears on other people’s sites, the better your brand is spread around and that’s a very good thing. After all, people are more important than some search engine is because all that a search engine is is nothing more than a bunch of bits and bytes that is far less intelligent than an ant on the sidewalk. Search engines are just machines and nothing more. They’re just tools that we use to find information. They’re the digital equivalent of the library card file that you see when you go to look for books. Article marketing is still very much alive and doing well, and many of today’s marketers and entrepreneurs use article marketing to drive highly targeted traffic and so much more. So if you’re not using article marketing, then you should be using it in your business because it can really be beneficial to you and your business, not to mention your bottom line. I think you have the right idea, but if you ever get hit with a manual penalty from Google you will have to remove any links in the article directories. However if you do focus on marketing and not do any overt SEO, hopefully you will stay off Google’s radar screen – especially if you are not in an overly spammy niche. I would still hesitate however, due to the scraping (without attribution) that I undercovered and discussed as the main point in this blog post.. Good luck! I’m with Donald on this. I believe you have to view backlinks as both a necessary evil for search engine rankings, but also as a hark back to the 1990s internet world where even just basic links were enough to drive traffic. Good article though, and I was intrigued by the stats. Also interesting to see that some people are writing articles without any links at all! Thanks for the comment! Certainly online marketing has changed significantly since the 90s! Donald’s point on branding is a good one.